I was shopping in Trader Joe’s and needed to use the bathroom. However, the line for the ladies room was far longer than I had the patience for (it was the one room per gender type of deal). I chose to use the men’s room (because, really, what’s the difference?) and was absolutely ecstatic to see that there was a changing table in the men’s room! I’ll be honest and say that this is not my first time using the men’s room to jump the line. 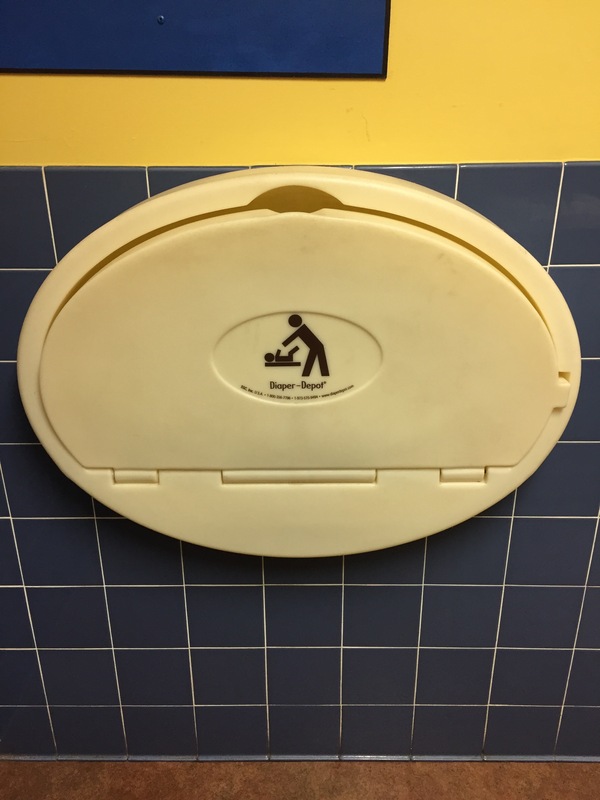 However, this was my first time seeing s changing table in a men’s bathroom. I want to give major praise to Trader Joe’s for acknowledging that men are also parents and have the need to care for their children as much as women do. Providing men with a safe place to care for their babies is an incredible thought. Way to go!